Founded in 1943, the Home Builders Association of Metro Denver is a professional trade organization that represents homebuilders, developers, remodelers, architects, mortgage lenders, title companies, subcontractors, suppliers and service providers in the eight metro-area counties we serve. HBA members are also members of the Colorado Association of Home Builders and the National Association of Home Builders. With over 580 members, the HBA of Metro Denver is the largest HBA in Colorado. We’re devoted to providing our members with advocacy, networking opportunities and education so together, we can continue improving the homebuilding industry. We work with state and local policy makers to create a regulatory environment that supports a vibrant and affordable housing market. Our education and certification programs help expand our members’ professional expertise. 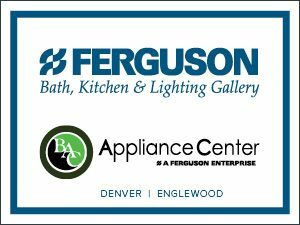 We showcase the latest in housing technology and trends — along with the benefits of owning a newly built home— through our Parade of Homes and the Flatirons Tour of Homes. Our many councils and committees give members a way to hone skills, create long-lasting relationships and shape the industry's future. We host several events during the year where members can swap ideas, grow their networks and build relationships. Our charity of choice, The Home Builders Foundation offers a way for our industry to give back to the community.